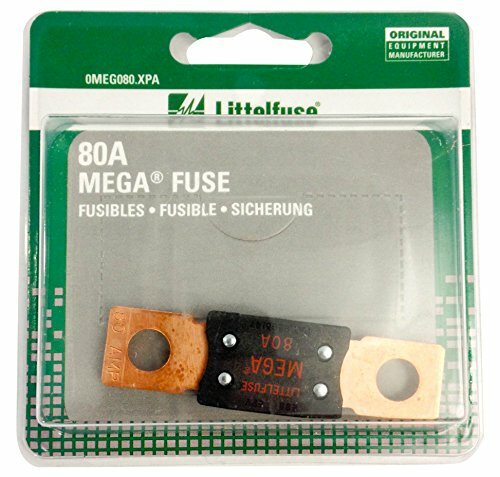 Littelfuse patented device designed for high current protection up to 500 amperes found on many OEM vehicles. Slo-blo feature eliminates nuisance blowing during temporary, short duration overloads. Commonly used for battery and alternator connections and other heavy gauge cables requiring ultra high current protection. Voltage rating characteristics: 32V AC/DC slo-blo. 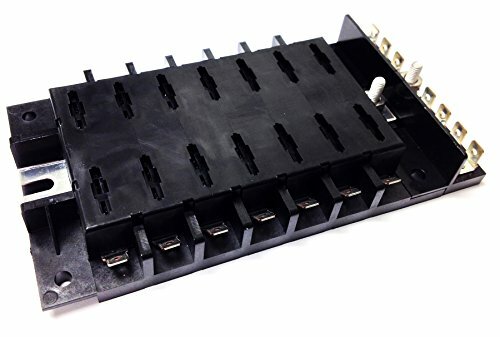 Sierra International FS40730 Ground Bus Bar for ATO/ATC Fuse Blocks with Contains Fourteen Tin Plated Copper Tab Terminals, 1/4"
Advantage: One shot operation, stable and precise, compact, durable and reliable by hermetic seal structure, excellently sensitive to ambient temperature. 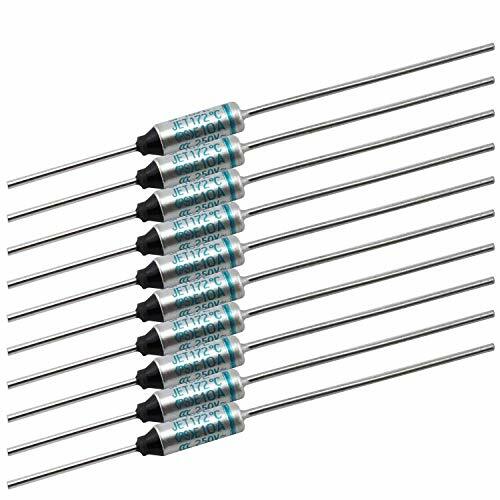 Function: Thermal Fuse, Widely Used in Electric Current Appliance as Heat Protection. When temperatures exceed the specified TF level, Electrical Contacts will Open. Applications: Suitable for electric home appliances, electric industrial equipment, office automation equipment, plain paper copiers, transformers, motors, etc. Ignition protected for installation aboard gasoline or diesel powered boats Sealed cover protects fuses from the harsh marine environment. Go Power! 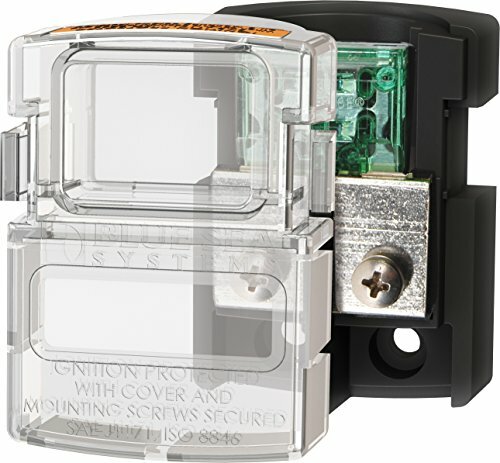 Fuse Block including 300 Amp Fuse is great if wiring is already present and protects the inverter with a proper inverter fuse. 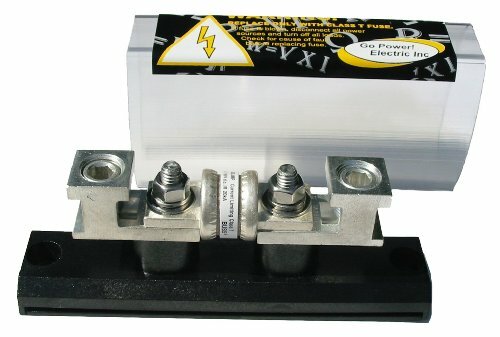 It is used on 12 Volt applications to protect inverters. Brand: Go Power! | Manufacturer: Go Power! Blue Sea Systems stands behind its products for as long as you own them. Blue Sea Systems will replace or issue a credit for any of its products found to be defective in materials or manufacture. P12 battery chargers and P12 remote displays are warranted for a period of five years from the date of first purchase. Digital meters and vessel system monitors are warranted for a period of three years from the date of first purchase. No compensation will be allowed for products not returned to Blue Sea Systems for analysis, nor will compensation be made for labour required to replace any defective product. 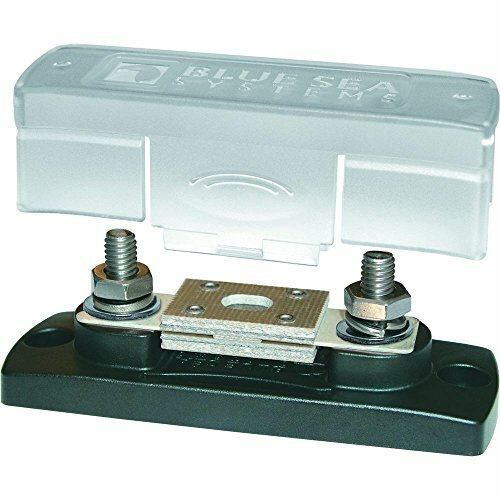 Please contact customer service for an RMA number prior to shipping any product back to Blue Sea Systems. 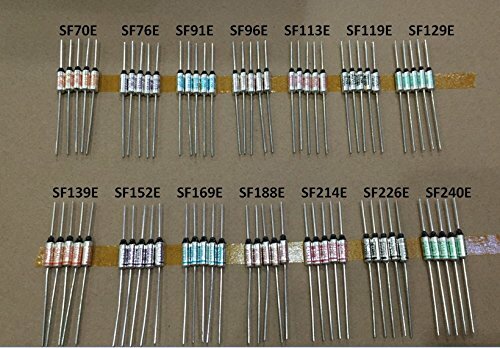 Compact fuses for main or branch circuit protection Standard circuit protection device for automobiles and trucks Tin-plated connector blades for corrosion resistance. 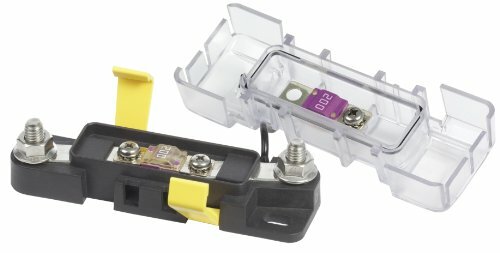 Fuse block, ANL, 300A, with cover, Mfg# 5005, accepts ANL fuses up to 300Amp, 32VDC, with polycarbonate cover, 4.5" L x 1.5" W x 1.65" h, FUSE sold separately. 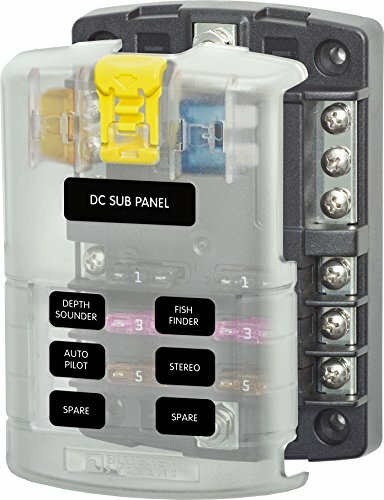 The Sierra FS40740 Fuse Block features interlocking modules that snap together and a flame resistant reinforced polyester base with ground bus bar. 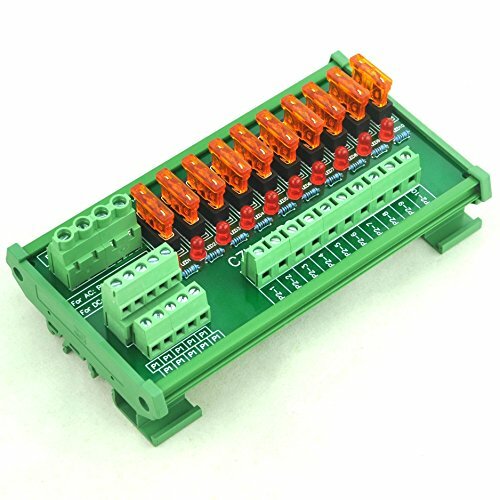 DIN Rail Mount Power Distribution Fuse Module Board. 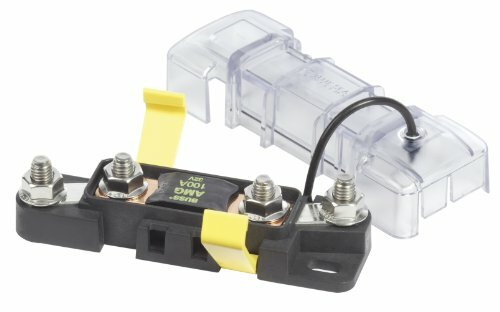 Work voltage: AC or DC 5~32V, total current rating 40Amp. PCB Dimensions: 150mm x 72.5mm x 29mm (W x L x H). Module Dimensions: 153mm x 87mm x 53mm (W x L x H). Input terminals: pitch - 7.62mm/0.3", current 30A for per position, wire size 26~10 AWG, stripping length 8mm, Metric M3 slotted screw. P1 output terminals: pitch - 5.08mm/0.2", maximum current 10A for per position, wire size 26~12 AWG, stripping length 7mm, Metric M2.5 slotted screw. 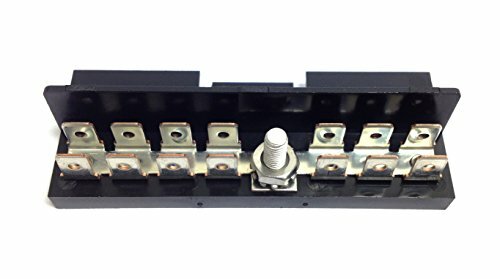 P2-1 to P2-10 output terminals: pitch - 7.5mm/0.295", maximum current 10A for per position, wire size 26~12 AWG, stripping length 7mm, Metric M2.5 slotted screw. 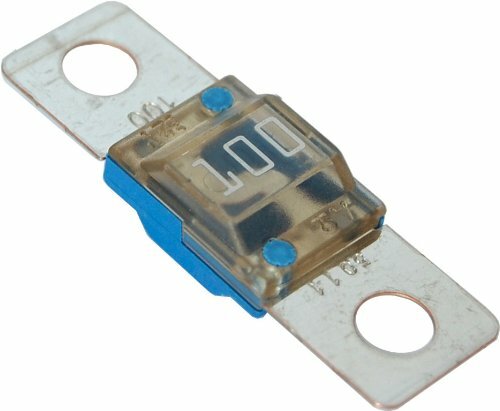 Work voltage: AC or DC 5~32V, total current rating 40Amp. PCB Dimensions: 150mm x 72.5mm x 29mm (W x L x H). Module Dimensions: 153mm x 87mm x 53mm (W x L x H). 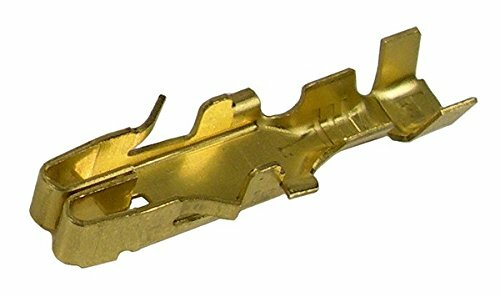 Input terminals: pitch - 7.62mm/0.3, current 30A for per position, wire size 26~10 AWG, stripping length 8mm, Metric M3 slotted screw. P1 output terminals: pitch - 5.08mm/0.2, maximum current 10A for per position, wire size 26~12 AWG, stripping length 7mm, Metric M2.5 slotted screw. P2-1 to P2-10 output terminals: pitch - 7.5mm/0.295, maximum current 10A for per position, wire size 26~12 AWG, stripping length 7mm, Metric M2.5 slotted screw.